When you think of a dentist, what comes to mind? 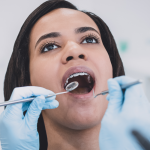 Most people think of dental cleanings and other preventive services such as oral cancer screenings, but did you know that comprehensive care dental services also include restorative treatment? That’s right—you don’t always need to go to a specialist for certain restorative services, depending on the complexity of the condition. 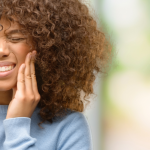 Read more to learn what’s involved in comprehensive dentistry services and how you can access affordable dental care at Penn Dental Medicine! Dental cleaning: Even patients who brush daily need annual dental cleanings to prevent cavity formation. Most cleanings are performed by dental hygienists, although in more complicated cases the dentist may provide this service. The hygienist will use a scaler instrument to scrape the plaque from the teeth. A vibrating ultrasound device may also be used to clean more effectively. Last, a polish is applied to strengthen the teeth against future build-up. Fluoride: You may already know that your toothpaste contains fluoride, but did you know that dentists can administer a more intensive fluoride treatment in the office? 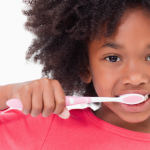 Fluoride is the most effective preventive treatment to guard against cavities. Remineralization is a naturally-occurring process aided by the presence of fluoride. Once it’s applied, the fluoride will catalyze calcium and phosphate concentration in the teeth, which makes them more resistant to dental caries. Dental crown: Crowns are used to protect a weakened tooth and restore appearance, size, and strength. You may be recommended a dental crown after another procedure such as dental implants, bridges, or root canal. Crowns can have cosmetic purposes, such as to cover over a disfigured or discolored tooth. They may be made of different materials, depending on where they are to be placed in the mouth. Bridges: A dental bridge is another treatment for missing teeth. Based on two or more crowns on the neighboring teeth (the anchoring or “abutment” teeth), a bridge literally extends over the gap caused by the missing teeth. The false tooth is held in position by the natural teeth or implants on each side of the gap. Dental implants: A dental implant is comprised of a titanium base that fuses with your jawbone after implant surgery. Once this anchor is established, the false tooth can be placed. 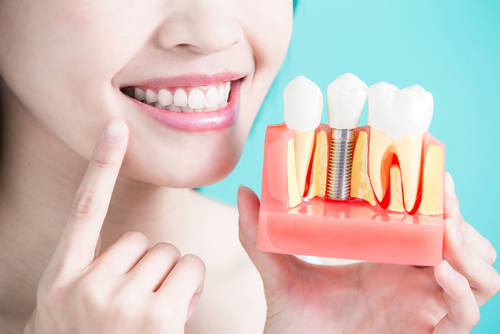 Dental implants provide the most healthy option to tooth restoration because the titanium anchor actually stimulates natural bone growth in the jaw. 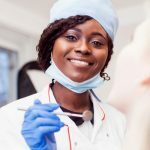 Where Can I Receive Affordable Comprehensive Dental Care Services? Penn Dental Medicine provides affordable dental services and at low costs to our patients. Our dental clinic is able to deliver high-quality preventative and restorative treatments because we operate out of a dental school. All procedures are performed by dental students in their final stages of training who are overseen by experienced dentists at the forefront of their field. To learn more about pricing and the many comprehensive dental care services we offer, please call Penn Dental Medicine at 215-898-8965.